Meet Peavy! 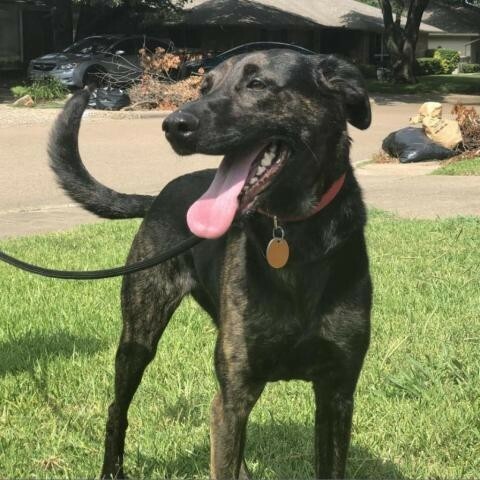 She is an energetic 2yr old Lab mix, ready to meet, greet, play and sniff out adventure! Peavy loves to play with other dogs, lives for walks outside, knows basic commands, and walks on a leash nicely. She may take some time, getting used to her crate, and will bark for attention-but with patience & training-she has the smarts to correct those, aptly. When inside the home, this girl can settle down with some cuddle time, or enjoys antler chews, or krinkly dog toys. Peavy will be the perfect match for an active adult, couple, or family with older kids who will take her out on hikes, trail walks, or to dog-friendly parks. Peavy has such a boisterous loveable personality, matched with a ready-to-go sense of excitement, the world is her oyster!! Whether she is an only dog in a home-or has fur siblings to keep her on her toes & show her the ropes-she will thrive tremendously! This pet is available for pre-adoption and may not be officially ready for adoption, as it is still undergoing medical treatment. Depending on the medical status, a Meet and Greet may be put on hold until they can safely participate in a meeting with potential adopters. In some cases, this pet may be able to move to its forever home while it is still under the medical care of Dallas Pets Alive. If you are interested in learning more, apply now and one of our Adoption Counselors will discuss the options available so you can bring home your new furry family member! Applications are processed in the order in which they are received; please be aware that this pet may have interested applicants ahead of you All Dallas Pets Alive adoptable pets are spayed or neutered, microchipped, and up to date on vaccines upon adoption. The standard minimum donation for dogs over six months to seven years is $200, puppies under six months is $250, dogs eight years and over are $100 unless specified otherwise. You can view all the adoptable pets and fill out an adoption application online on our website at http://dallaspetsalive.org/adopt/adoptable-dogs/ . For more information, you can email adopt@dallaspetsalive.org.